Throughout the food development and production, knowing your ingredients is critical. In the food industry, a product’s success or failure is usually based upon subjective, qualitative attributes such as taste and texture. However, these important attributes cannot be measured directly, and so the industry needs to rely on the human factor in tasting test panels, in order to collect such information on prospective products. This methodology, however a popular part of product design throughout the food industry, on top of being highly subjective, is both time consuming and costly. The FlowCAM can help decrease time to market by offering the ability to collect quantitative data in the laboratory that can be correlated to qualitative data such as taste and mouth-feel. 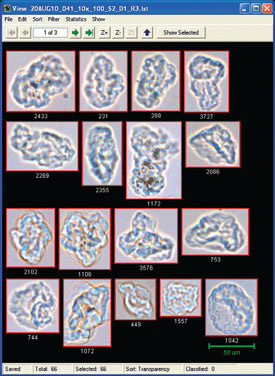 It is well documented that the size, and more importantly the shape of particles in food products, correlate directly with those qualitative characteristics such as flavor, aroma and different texture parameters. Further to this, the nature of particles in our food, starting from the raw ingredients all the way to the shelved product, affects also the stability, homogeneity and shelf-life of many food products. In food products that are in fact suspensions and emulsions, the FlowCAM enables the count and characterization of the suspended particles in the liquid medium. Other raw materials and food products which are dry powders, can be suspended to allow the qualitative and quantitative examination of powder particles and their behavior in suspension. 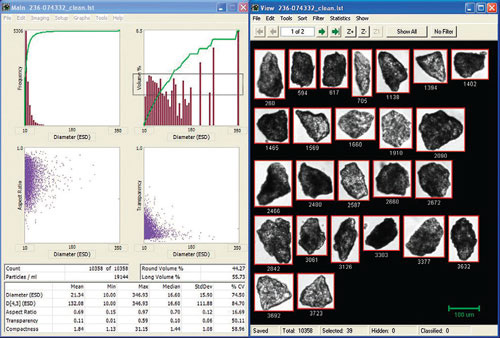 Ensure the contents of your product, detect process flaws early, and enhance R&D efforts using the FlowCAM. 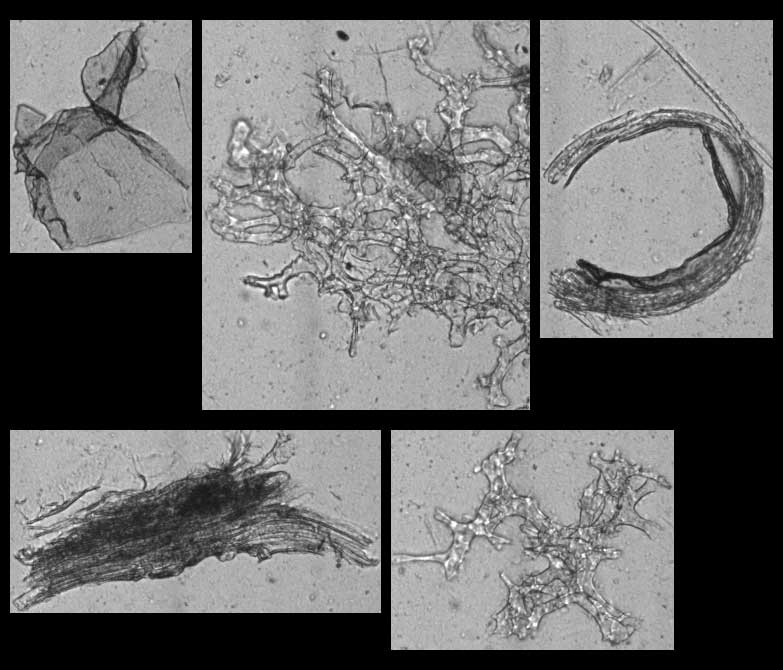 For use in both research and development and production settings, the FlowCAM can be used for analyzing: hydrocolloids, fibers, encapsulated products, carbohydrates, stabilizers, emulsions, gums, and flavorings. The manufacturer of a sauce, chocolate mixture or juice, any hydrocolloid product, needs to quantify particles of the different ingredients within the product, to ensure their uniformity in size and shape, as well as their distribution, after mixing and homogenization. 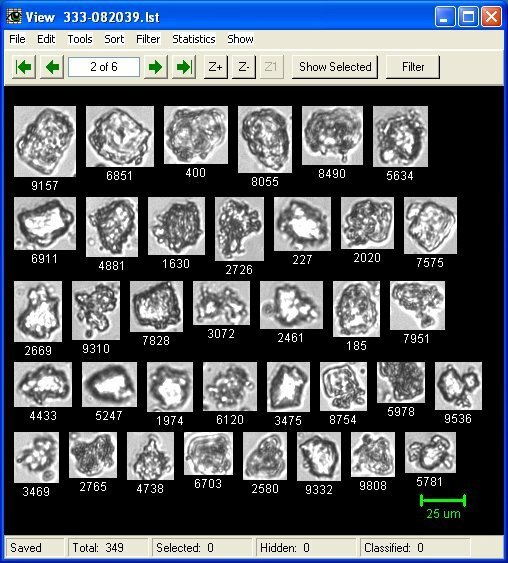 The FlowCAM allows characterization of all particles in a sample, as well as the virtual isolation of a particular particle type from all of the others in the sample by creating a library of the desired particle type, and by a statistical pattern recognition operation, automatically finding the particles that match the desired type. Microencapsulation is a pervasively used technique for delivering particles in a wide range of applications, ranging from pharmaceuticals to foods to detergents. Microencapsulation is a process by which small amounts of a substance (active ingredient) are packaged inside a second substance in order to shield the active ingredient from the surrounding environment.